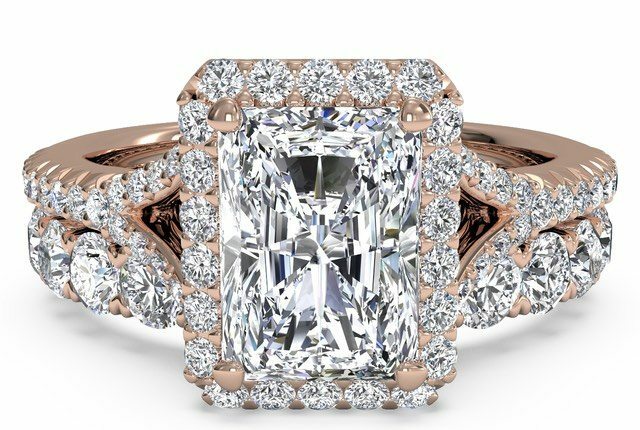 If you’re in search of inspiration to pair your engagement ring with a wedding ring, look no further! 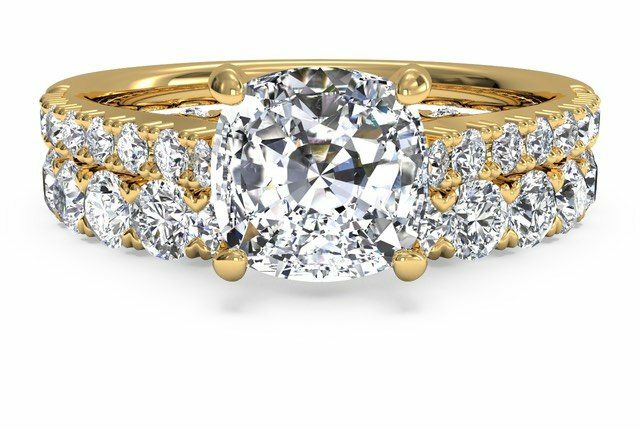 Our friends at Ritani.com have rounded up some of their best-selling engagement rings and paired them with wedding bands to create beautiful matching sets. 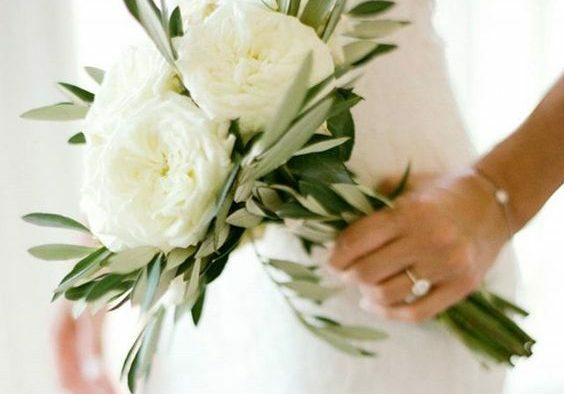 Read on for dazzling wedding day inspiration. 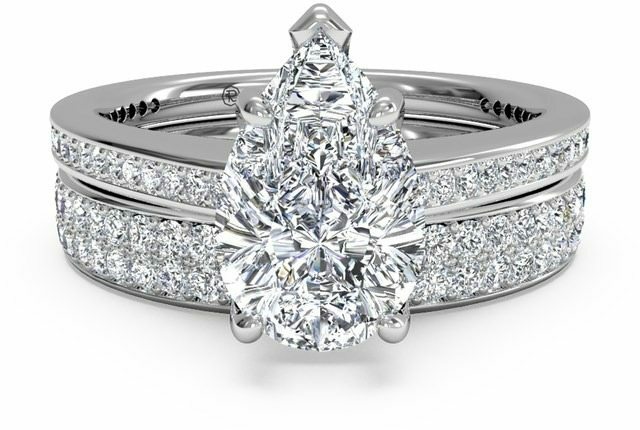 There’s no better way to show off your love of sparkle than this larger-than-life “Royal Crown” three-stone engagement ring design, a spectacular showing of diamonds. A cluster of dazzling diamonds is created when paired with a five-diamond matching wedding band. You’ll definitely turn heads with this much brilliance as you say “I do.” Shop this set. The combination of the classic halo setting and fashion-forward rose gold metal creates an extra dose of sparkle for the modern fashionista. 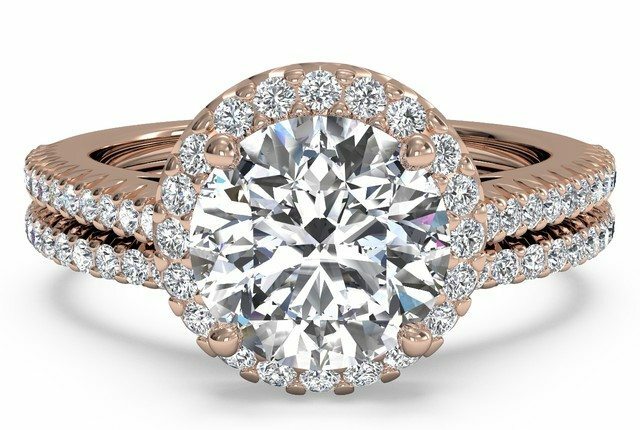 Rose gold engagement rings make a distinctive choice, but are even better when paired with an additional row of matching diamonds for a streamlined look. Shop this set. If you’ve said “Yes” to a round diamond solitaire ring, add extra sparkle with a micropavé band to create a stylish backdrop for your center diamond. If the band of your engagement ring is sleek and simple, think about adding a diamond wedding band to bring extra oomph to your new accessory. This classic pairing never goes out of style. Shop this set. If you seek brilliance to match your vintage engagement ring, make a statement with a matching band for a gorgeous look that’s all your own. 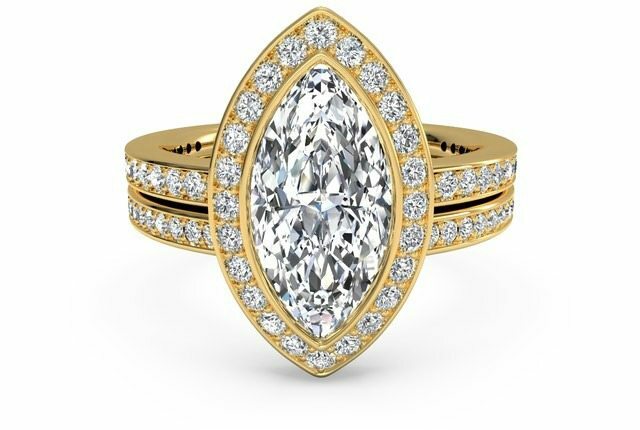 Even better, 18k yellow gold really makes diamonds come alive, especially when highlighting fancy-shaped diamonds like this Marquise. Shop this set. Can’t get enough diamonds? Enshrine your sparkle with even more sparkle! 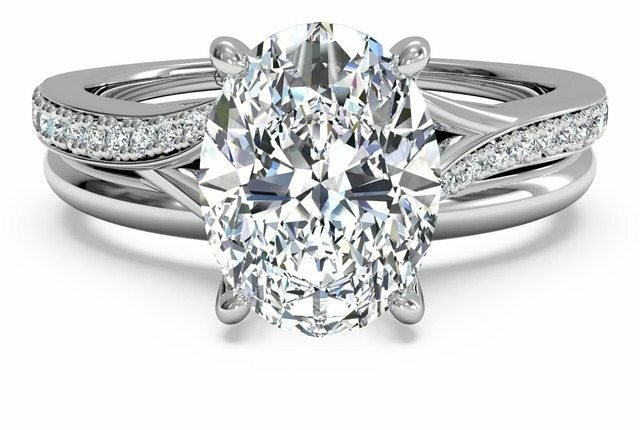 This best-selling wedding ring is elegant and eye-catching with a band of shared-prong diamonds in an above-average carat weight, creating a dramatic look. Even better, this wedding band also looks beautiful when worn on its own. Shop this set. 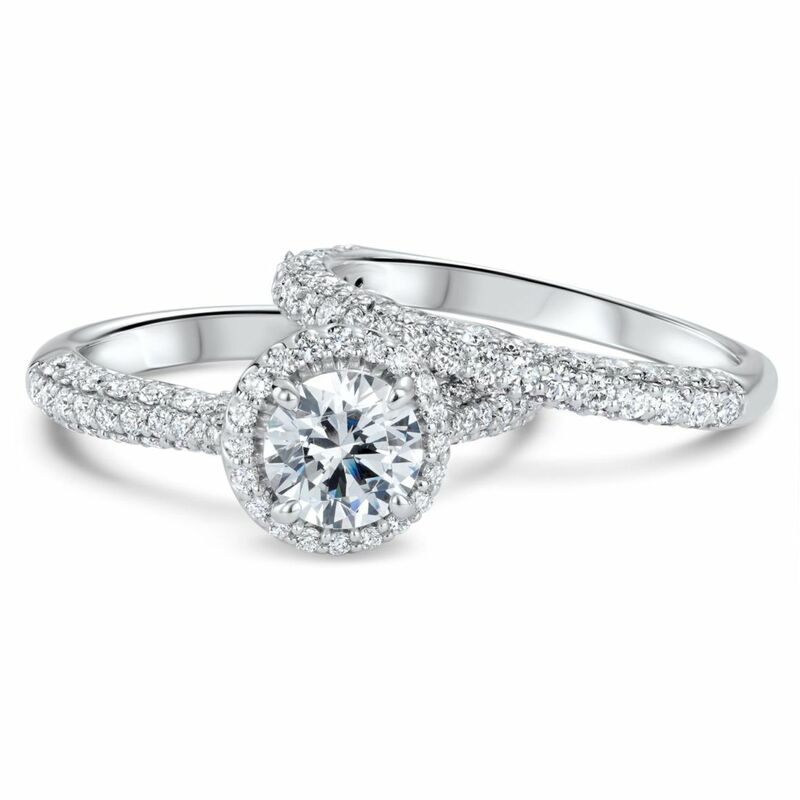 This sparkling classic is enhanced even further when you add a shared-prong diamond wedding band. Varying sizes of diamonds create more opportunity for scintillation — the magic ingredient that gives diamonds their brilliance. Shop this set. Let your fancy-shaped diamond shine alongside a classic wedding band. This micropavé bypass setting gives the engagement ring a modern feel, which is further elevated with the juxtaposition of a simple, smooth wedding band. When worn alone, this simple rounded wedding ring is perfect for the bride who doesn’t want to worry about diamond or prong damage. The classic design of this band is great for comfortable, fuss-free wear with or without your engagement ring. Shop this set. 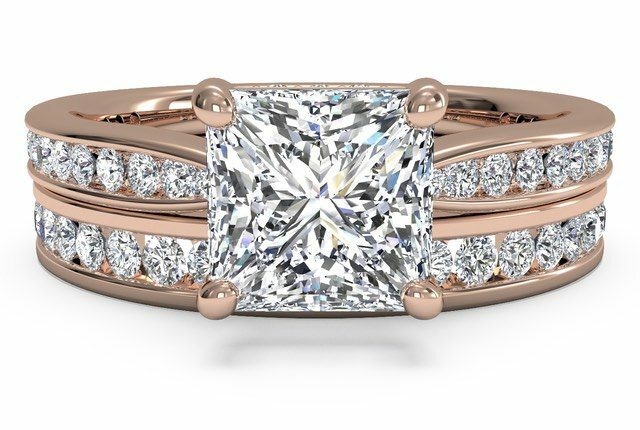 This princess cut engagement ring is unique in rose gold, but the matching channel-set diamond wedding band takes it to a whole new level. 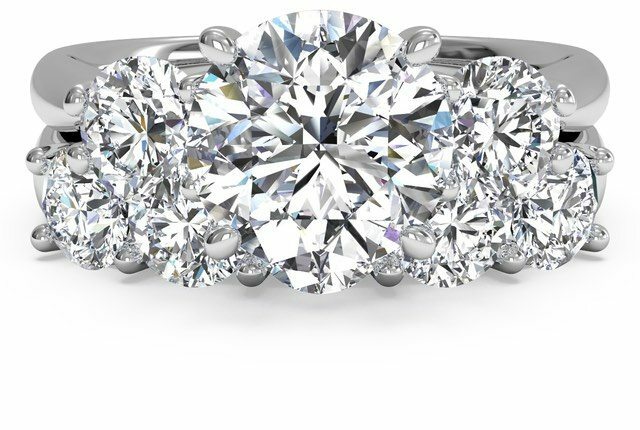 The diamonds in each band create continuous streams of brilliance. Channel settings also provide the most safety for your diamonds, with metal edges to protect them from bangs and scrapes. Shop this set. 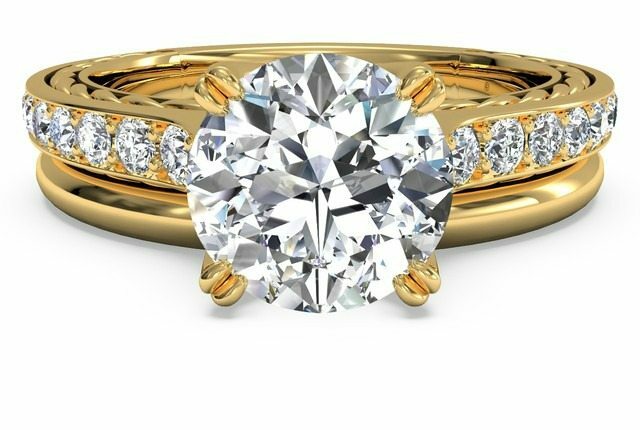 This pairing marries the pavé diamond band of your engagement ring with a simple, smooth wedding band in matching 18k yellow gold. 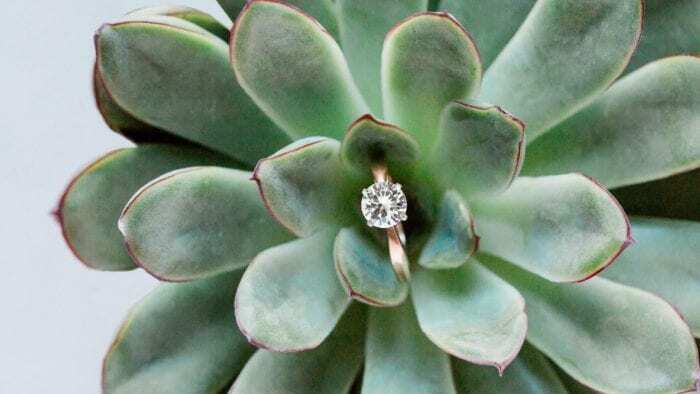 Not only does this combination highlight your center diamond, but it’s also a practical addition if you’re looking for a no-fuss wedding ring. Shop this set. For a truly dazzling look, showcase your fancy-shaped center stone against a backdrop of micropavé diamonds. The micropavé diamonds are set with tiny prongs arranged close to the band, minimizing the chances of catching on clothing and making this bridal set perfect for everyday wear. Shop this set. Designed to fit together, just like the two of you, a bridal set takes the guesswork out of finding the right match for a wedding ring. 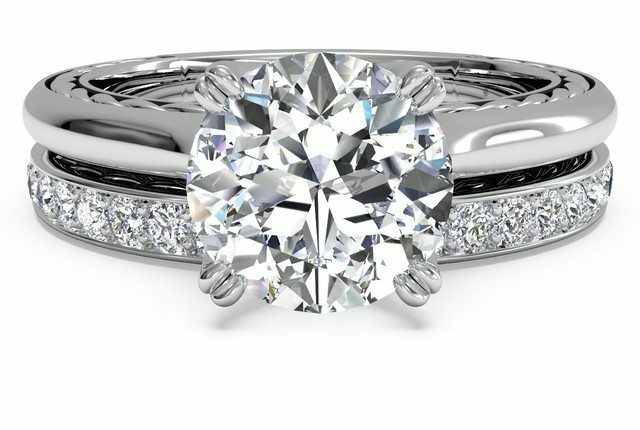 If you’re looking for a perfect match to your engagement band, make sure you select the right setting and styles, as there are many different kinds of diamond settings and band styles: pavé, micropavé, channel set, french-set, knife edge, plain, rounded, and more. 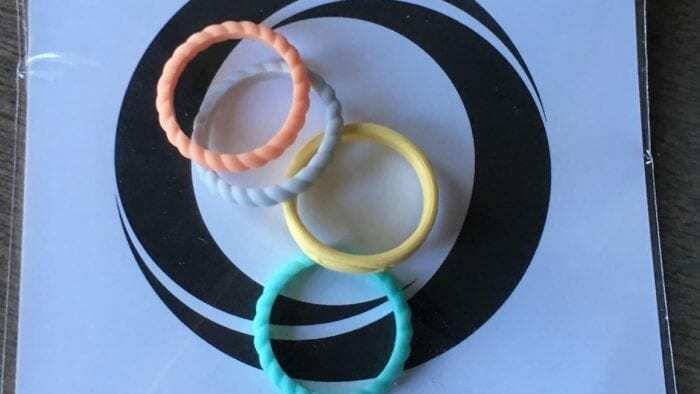 If you’re not sure what kind of wedding band is best for you, contact Ritani’s customer service, who will be happy to help you select the perfect wedding band for your engagement ring. 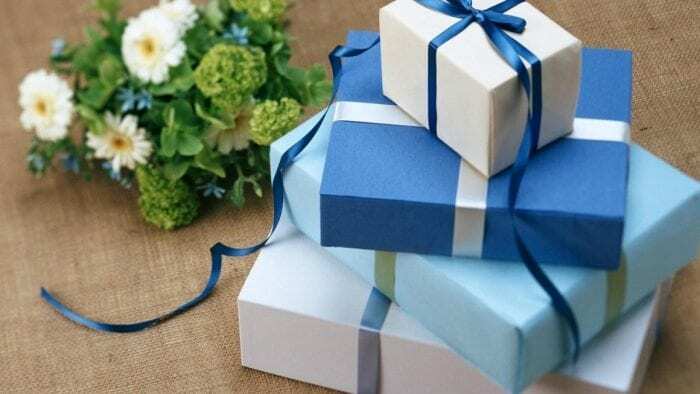 Ritani.com, based in New York, specializes in handcrafted engagement rings, wedding rings, bridal sets and fine jewelry for your wedding day. Becca Luna is a luxury goods aficionado and writer in Seattle. Follow her on Twitter @beccarisa.